At the end of the tenancy, tenants are expected to present the leased property in the same condition it was given to them. This involves a comprehensive final cleaning. However, moving out is linked with numerous other responsibilities, which also require time and efforts. For this reason, hiring a professional cleaning company is always beneficial. It enables you to cover your to-do list without any stress or hassle. Cleaners Agency London has many years of experience as an end of tenancy cleaning provider, serving tenants in Shacklewell and the nearby areas. What we offer is comprehensive cleaning package that ensures high standards of cleanliness, professional cleaning materials and a practical price system. Our main objective is to deliver adequate cleaning solutions and excellent customer service. With a detailed recruitment process and an inclusive indoor training, we were able to form a team of trustworthy and competent cleaning experts. All of them have spent a considerable amount of time cleaning post tenants. When our cleaning crew is in your leased property, you can be confident that it will be in excellent condition for the inventory inspection. Our representatives are well-mannered, thorough and flexible. Armed with the required cleaning arsenal, they are able to deal with every situation. For your peace of mind, our end of tenancy cleaning is not an hourly based service and the cleaning crew will leave only when all areas are free of grime. We know that your landlord expects exceptional standards of cleanliness and it is our mission to ensure it. You can take advantage of our service in the entire Shacklewell. While our cleaners are moving from room to room, you will be able to arrange other important things. 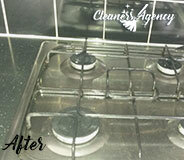 As a cleaning company committed to customer satisfaction, we give a guarantee for a positive outcome. If there are problems during the inventory inspection, we will organise a re-clean. Work with our company and save yourself the whole hassle that comes along with moving out. We have the necessary resources to provide you with a reliable cleaning solution and trouble-free moving out accordingly. Our highly qualified cleaning staff is at your disposal 7 days per week in N16 and the surrounding areas. I am very, very pleased. The cleaners impressed me so much! 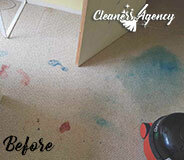 They paid attention to every nook and cranny, and made sure that all of the stains were gone. 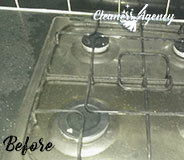 The end of tenancy cleaning service of your company is perfect and I would book it again if I am in need of it. If the cleaning chores are giving you a hard time and you want to avoid them as much as you can, then you should definitely try the cleaning services of Cleaners Agency London. Book our professional help and you won’t have to deal with the tiring and burdensome cleaning tasks anymore. In the mean time your home or office will look perfectly clean but you won’t have to waste any of your time or energy. We are definitely the only cleaning company in London which can offer you a high-quality service and a very budget-friendly fee at the same time. 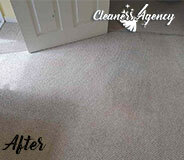 We assure you that you can always trust us to give your home or workplace a sparkling clean look. Our company has a lot of years of experience in the professional cleaning business and we have helped many people across entire London to experience a top-notch service and save some time, money and energy. We hope to hear from you soon. According to the majority of our customers, who have already tried our professional end of tenancy cleaning service, it is very thorough, complete and not expensive. Many of them, if not all of them, have booked another of our cleaning services, because they trust our professional judgment. What we can offer to every citizen of Shacklewell is a thorough deep end of tenancy cleaning service of any type of rented property, whenever you need it! If you decide you need a hand with the cleaning, you can simply book our end of tenancy cleaning service over the phone. Our friendly team at customer support will help you tailor the service according to your preferences and will answer any questions you might have. The most important things we want you to know are that we use only eco-friendly cleaning products and specialized tools to make the cleaning of any type of surface possible! Everything will be flawless if you decide to trust our professional judgment and rely on our high quality end of tenancy cleaning service! Shacklewell is a better and much cleaner place, thanks to the trust our customers give us! The best thing that can happen to you if you book us, is to become one of our happy customers, perfectly satisfied with the service we provide!